Where does a band go, after a symphonic journey that peaks with orchestral performances at the Royal Festival Hall and Royal Albert Hall? Back to the beginning of course. Before fronting one of the most artistically brave and revered bands working today, Tyneside sisters Rachel and Becky Unthank grew up singing songs without accompaniment, in weaving, unschooled vocal harmony. 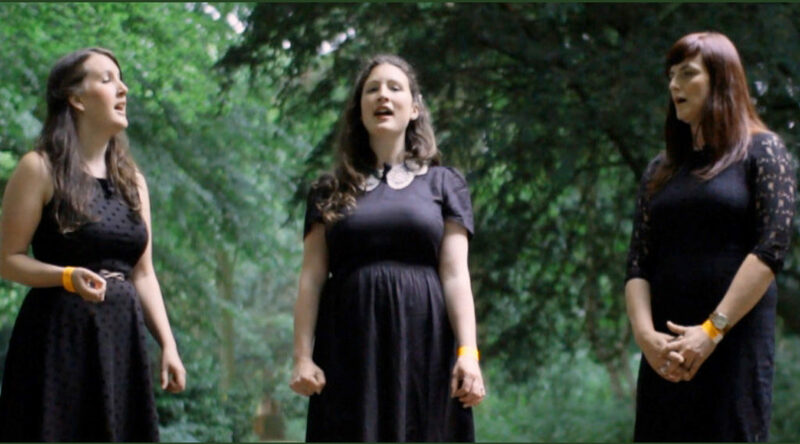 As if to prove that creativity should never be about ambition or aspiration, The Unthanks move on from their recent orchestral explorations by going back to what they know and do best – singing in unaccompanied harmony – joined on this tour by Unthanks member Niopha Keegan to make a vocal trio. The three have already established a band within a band in The Unthanks, with the success of haunting harmony signature pieces like Magpie, recently brought to wider attention by Mackenzie Crook’s beautifully poignant series, Detectorists. On this tour, they fully explore their rich and unique vocal combinations, with brand new material and arrangements, alongside more familiar Unthanks material. Believing unaccompanied song to be a performance art of storytelling and communication, instead of recording a studio album, each show will be recorded and there will be chance at shows to pre-order a forthcoming album compiled from live performances on this tour. “Carrying the baton from Michael Marra and Ivor Cutler on one side and all the pinpoint emotional control of Paul Simon or John Martyn on the other. Tim is actually the best, and I’ve done my research.” These are the words of Martin Green from Lau. Tim is a writer of beautiful songs and purveyor of theatrical clowning; a kilted Scotsman with an accordion who in one moment can devastate with humanity and sincerity, and in the next have you wetting your seat with his maniacal, anarchic humour. What makes him so unique and compelling is his readiness in front of an audience to bare all sides and depths of himself, masquerading at points behind absurdist performance theatre, which only serves to make his moments of bare, folk club truth, all the more affecting. Just don’t be late. Don’t miss him.